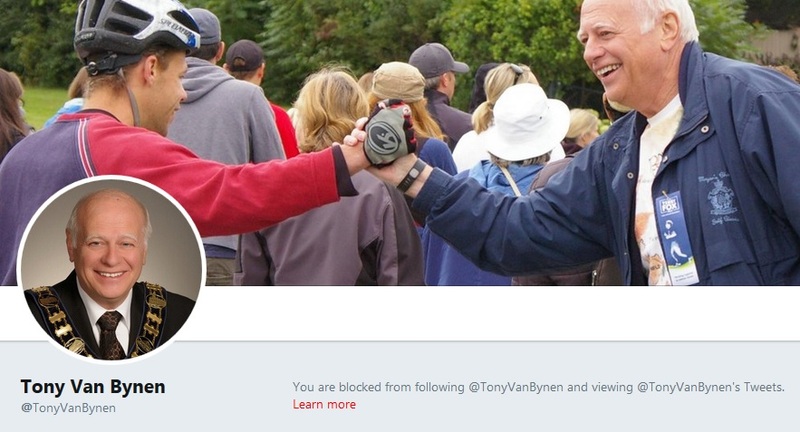 For years, Newmarket's Mayor, Tony Van Trappist, has blocked me from viewing his Tweets. And now I read that Donald Trump is blocking the renowned Toronto Star Washington correspondent, Daniel Dale from looking at the daily torrent of Presidential tweets. Of course, there is no equivalence between the two. I am protozoa compared with the President of the United States and the Mayor of Newmarket - the biggest fish in their respective ponds - and with Daniel Dale, the celebrated award winning journalist. The Star is outraged on Dale's behalf. Trump is just being Trump. But the Star's editorial this morning went further than even I expected. The paper suggested that no politician should block citizens whose criticisms they find inconvenient or annoying. "No-one is suggesting that hateful or harassing messages shouldn't be blocked. But in a democracy, all citizens, including the news media, have the right to criticize elected officials. No politician should be allowed to exclude citizens from the public square of the 21st century just because he finds criticism inconvenient or annoying." Of course, not all politicians have thick skins. They may be easily offended. Or feel threatened. Or just be very sensitive souls. Like our Mayor. Van Trappist's Twitter account is private but it looks official. It is all about his public persona as the Town's first citizen. There is a photo of the great man with the heavy Mayoral gold chain of office around his neck. I started referring to Van Bynen as "Van Trappist" years ago after observing his listlessness and inattention at meetings of York Region where he is an ex officio member. He is there because he is Mayor of Newmarket. Even when matters are on the agenda that directly affect Newmarket he rarely bothers to stir himself and intervene. 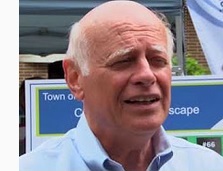 Yet he pockets a substantial "stipend" of over $50,000 a year for his "work" on the Regional Council. In February 2016 there was a debate on social media at the Town's Committee of the Whole. Many councillors made the point that it is perfectly legitimate to block someone who is being abusive or guilty of harassment. Absolutely. I don't disagree. So there! Comment on someone else's tweets, not mine! The Star's editorial, calling on politicians not to block critical comment, is probably a counsel of perfection. Van Trappist, the old banker, is not going to change his ways. Any more than Donald Trump.